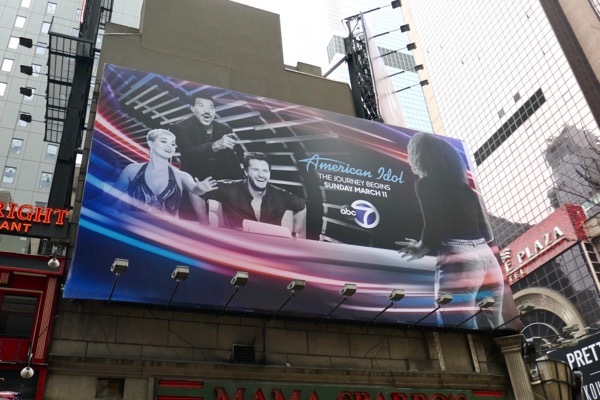 American Idol made its debut in June 2002 and ran for fifteen seasons until April 2016 on Fox becoming a television phenomenon and one of the most watched shows in TV history, spawning such success stories and music superstars as Kelly Clarkson, Jennifer Hudson, Carrie Underwood, Adam Lambert, Jordin Sparks and Phillip Phillips to name but a few. 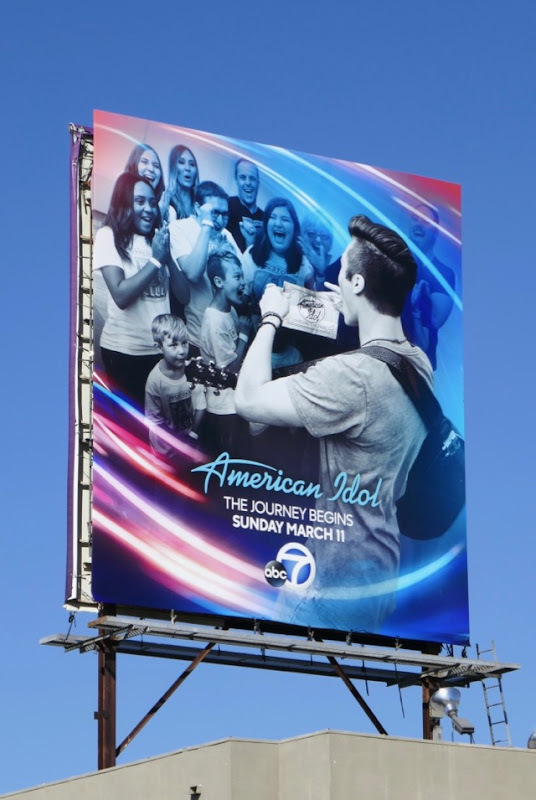 This year ABC revives the reality singing contest for a revamped sixteenth season, offering contestants the magic ticket to start their journey to stardom. 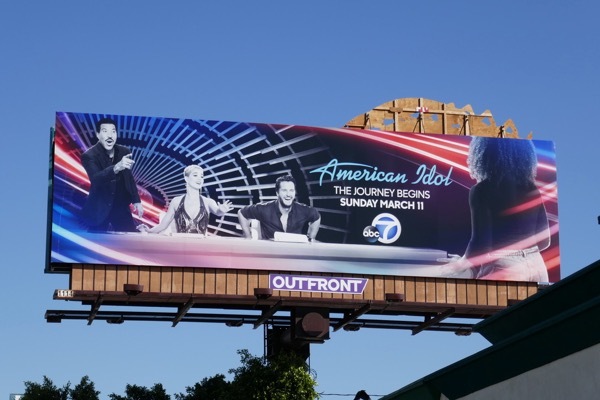 This time around judging the auditions around America and the live performances will be pop star Katy Perry, country singer Luke Bryan and the legendary Lionel Richie. 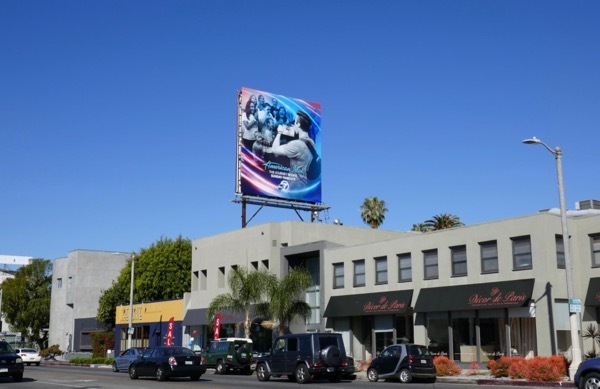 The new show has a few hurdles to overcome. 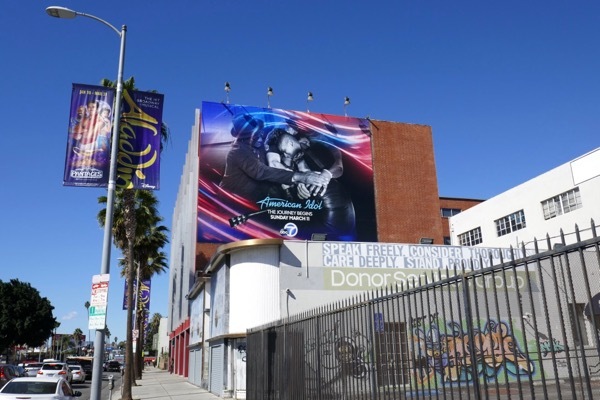 There was reason Fox decided to shutter it after fifteen seasons due to falling ratings, the concept has many challengers these days in the form of The Voice (incidentally Kelly Clarkson the inaugural Idol winner just became a judge on the NBC show for its fourteen season) and America's Got Talent and there's also the ongoing sexual harassment controversy surrounding the show's host Ryan Seacrest. 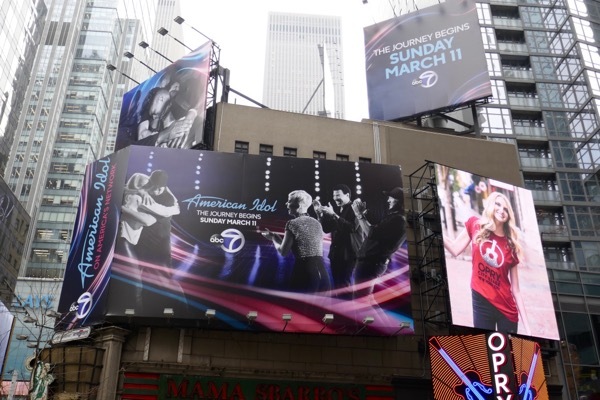 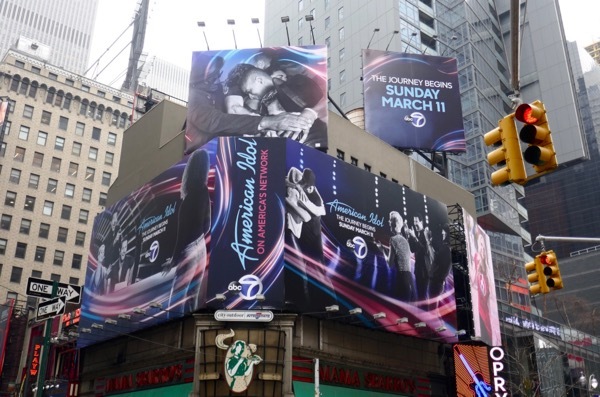 This collection of season sixteen billboards for American Idol was snapped along Broadway near Times Square in Manhattan on February 15, 2018. 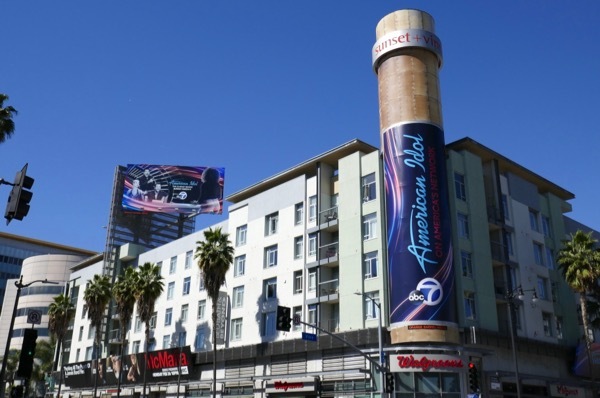 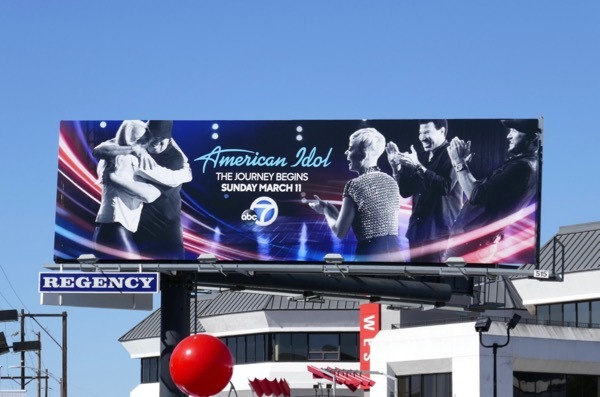 Meanwhile over on the west coast these ABC revival billboards were spotted along L.A.'s Sunset Boulevard, Pico Boulevard, Olympic Boulevard and Beverly Boulevard from February 21 to February 25, 2018. 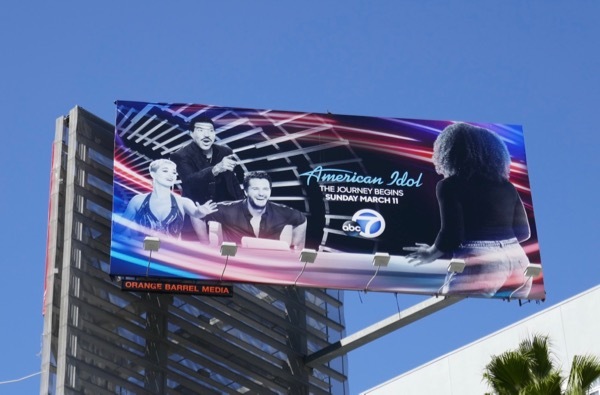 Fans of the singing competition can also enjoy these previous season promo billboards for American Idol from years past. 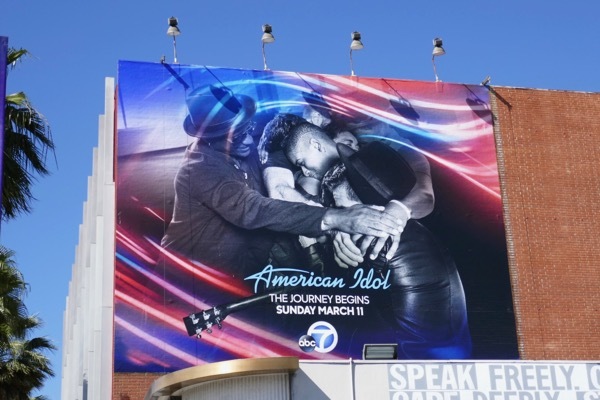 Only time will tell whether American Idol can reclaim its crown as must-see TV and inject something fresh into the vocal competition format as we follow the contestants journeys, through every tear and emotional performance.